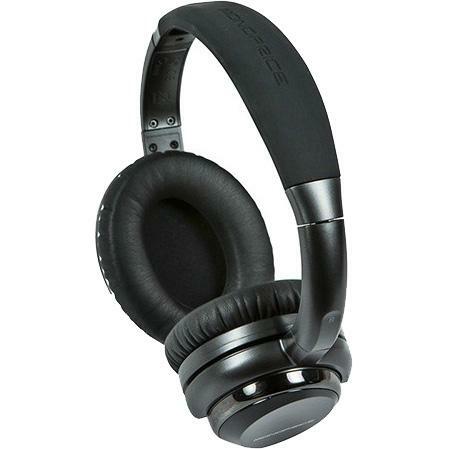 It’s well known that the Bose QuietComfort 35 are the best noise cancelling headphones around. But you know that? They also cost $350. Yup - three hundred and friggin’ fifty dollars! Do I look like Mr. Moneybags? Heck no. If I could drop $350 on headphones, I'd already be flying in first class! Methinks the the less pecuniarily blessed travelers among us need some Bose QuietComfort alternatives. So in that spirit, I decided to round up the best cheap noise cancelling headphones. Because you shouldn’t need to be a millionaire to get a little peace and quiet while you’re travelling. They can run in passive mode if your batteries ever die. That means you can still listen to music, though you’ll lose the noise-cancelling part. They fold flat, which is great if you travel out of a backpack like I do. The sound quality is good for the price. I trust the Audio Technica brand. I happily own an Audio Technica record player and other headphones from them. Keep reading to learn more about the other headphones I looked at. If you prefer in-ear headphones or cheaper sound-isolating headphones, I have some good options for you as well. If you’ve ever been on a bus in Southeast Asia, I don’t need to tell you why noise cancelling headphones are a literal gift from the gods. But seriously - imagine being able to hop on a plane or a bus, put on your headphones, and completely tune out that chatty couple next to you. That’s the benefit of noise-cancelling headphones. I mean, don’t get me wrong. I certainly love talking with other travelers...sometimes. But when you’re coming off a 16-hour flight, plus a 7-hour layover, sometimes you just want to block the world out. If you want a chance at sleeping when the baby three rows up is crying, then you want active noise-cancelling headphones. If you want to hear the baby screaming...but a tiny bit quieter, then you want sound-isolating headphones. Basically, sound-isolating headphones just block out a little bit of sound by creating a tight seal around your ears. They aren’t doing anything else to block out noise. It's just a physical barrier. On the other hand, active noise-cancelling headphones actually have electronics which output a signal that’s designed to “actively” block soundwaves. I almost always recommend active noise-cancelling headphones over sound-isolating headphones. The only downsides are that active cancellation requires batteries and is usually a bit more expensive. Luckily, most active noise-cancellation headphones still let you listen to music via the wire even if the batteries are dead. You will lose the active cancellation without battery power, but it’s not like you’re unable to listen to music without batteries. So, unless your budget is super-duper tight, you’re going to do much better with active noise-cancelling headphones. There's one more set of terminology that I'm going to sling around in the list below. So I should probably take a minute to explain it before I jump into the noise-cancelling headphones I looked at. Over-ear is the most popular form factor for active noise-cancelling headphones. The headphones completely surround your ear, which does a great job at preventing sound from coming in and out. As a result, they can be a bit bulky, though. I tried to find sets that fold down when not in use. Also known as Supra-aural headphones, on-ear headphones sit on your ear rather than completely surrounding it like over-ear headphones. They're usually lighter and smaller, though to get those gains, they typically let in more outside sound. Typically, they're not great for noise-cancellation. Typically, you'll only find on-ear headphones with noise-isolation. Often called earbuds, in-ear headphones are those tiny little things that actually go inside your ear. Think of the basic Apple earpods that ship with every iPhone. Those are in-ear headphones. For a quick summary, check out the table below. To view detailed thoughts on all of the featured headphones, keep scrolling. All of these headphones offer active noise-cancellation. That means they'll use some type of battery powered electronics to actively cancel out incoming soundwaves. I personally think this is the best type of headphones for flying or other forms of travel. As I mentioned above, the Audio Technica ATH-ANC7B are my overall pick for a cheap set of noise-cancelling headphones. While they're not the cheapest on this list, they have a few features that make them great for travel. ​First off, they fold flat. So when you're not using them, you can easily tuck them away in your bag. They even come with their own carrying case. Next, they're over-ear​. So you're getting both natural sound isolation as well as the active noise-cancelling put out by the headphones. Fold flat for easy storage during travel. Work even when the battery is dead. I think they're ugly. Not a dealbreaker, but other headphones definitely look better. 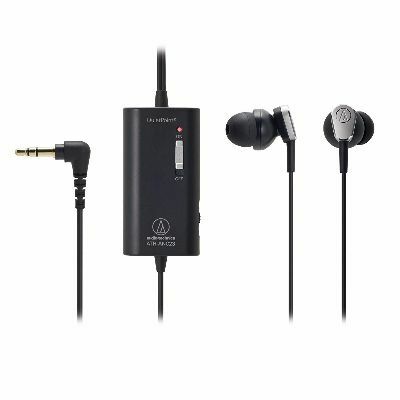 The Audio Technica ATH-ANC23 in-ear headphones are the cheapest active noise-cancelling headphones on the list. Unlike most active noise-cancelling headphones, they're in-ear instead of over-ear. Personally, that's a dealbreaker for me. But I know some people prefer in-ear headphones, so that might actually be a positive for you. Because they're in-ear, they take up almost no space in your bag. I prefer over-ear to in-ear, but that's just personal. The noise cancellation isn't as good as more powerful over-ear headphones. Wireless Bluetooth headphones with active noise cancellation? Woo nelly, sign me up! Yup, that's exactly what the BÖHM B-66 headphones offer. The Bluetooth connection lets you listen to music from up to 18-feet away from your device. And you'll get about 16-hours of listening from one 3-hour charge. In case your battery dies, you can use the wired cord to plug into your device. Of course, you'll lose the active-noise cancellation without the battery, but that's standard for all noise-cancelling headphones. They look stylish and modern. 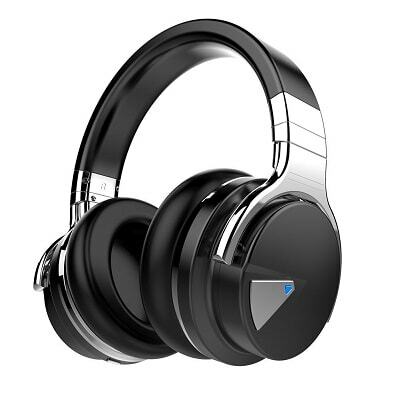 The Cowin E-7 headphones offer wireless Bluetooth connectivity as well as active noise-cancelling. You'll probably either love or hate the looks - I kinda think they're cool-looking, but I understand if you feel the opposite. Another positive thing is that they have great battery life - you can eek out 24+ hours of listening on a single charge. That should get you through even the longest flights. The only downside is that they're extra big. I'd even call them husky. Has bluetooth for wireless listening. Big 'ole cans. These headphones are fat. They don't fold down, which makes that big form factor even tougher to deal with during travel. There's a lot to like about the Monoprice PID10010 headphones. First off, they've got active noise-cancelling on top of a well-sealed over-ear design. Combined, the two should block out a lot of outside noise. They also fold flat, which makes them great for traveling. They even include a nylon carrying case for easy storage. And if you find yourself needing to make calls on the go, they include a built-in microphone. 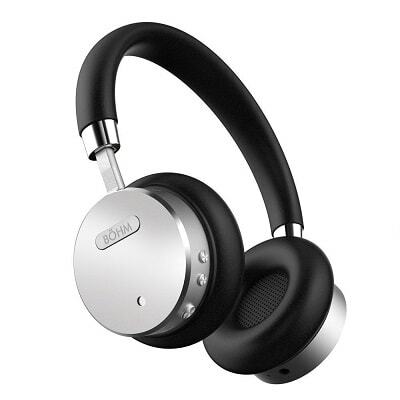 And best of all - you can get around 50 hours of noise cancellation from a single AAA battery. Fold flat design and carrying case. 50 hours of noise reduction on one AAA battery. No rechargeable battery - you'll need to carry AAA batteries with you. 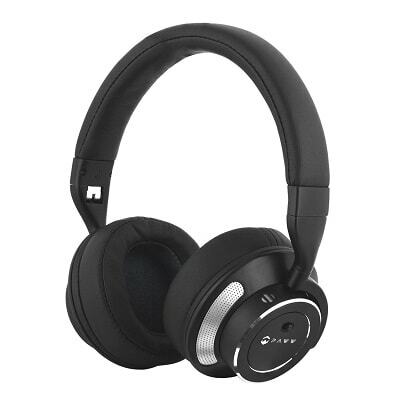 I like the Paww WaveSound 3 headphones because they're specifically designed for airplanes. What's that mean? They include a travel adapter, a travel case, and they fold down to make them easy to fit into your pack while traveling. 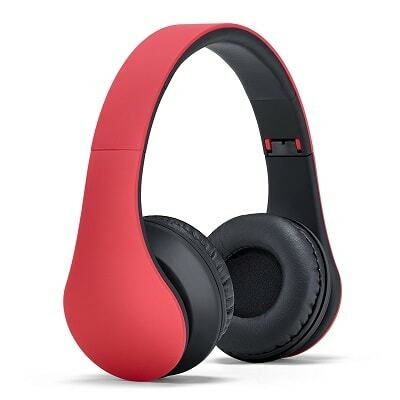 Beyond that, they also feature wireless Bluetooth connectivity and active noise-cancellation. If your battery ever dies, you can recharge it using the included micro-USB cable. That means you never need to carry batteries around with you. Designed for airplane travelers - foldable and includes travel adapter/case. The padding on the headband could be better. Might be uncomfortable for long-haul flights. The active noise-cancellation feature isn't very impressive, which kinda defeats the purpose of getting noise-cancelling headphones. Still want to hear some of the outside world? If so, you might be more interested in noise-isolating headphones. As I've said a few times, they're not for me. But hey, live and let live, right? As a bonus, these noise-isolating headphones are cheaper than the active noise-cancelling headphones above. The Edifier H840 offers noise-isolation in what I think is a fairly aesthetic package. In a world of black headphones, the blue definitely stands out. I like it a lot. The Edifiers have leather earpads, which should ensure comfort even during long flights. Just be aware that the wires are super thin, which isn't a great formula for standing up to the rigors of travel. The wires are thin. I hate thin wires because they almost always break. Let me be honest - I'm mainly including the Status Audio HD One because I think they look friggin' awesome. They have the best design out of any of the headphones on this list, in my humble opinion. I mean, geez. They look like something out of a science fiction movie! But beyond the aesthetics, they also offer some other benefits for travelers. First off, they're on-ear, rather than over-ear. If you prefer that, that's a good thing. Secondly, they fold down, which makes it easy to take them with you on the go. Fold down for easy storage while traveling. On-ear design means the noise-isolation can only get so good. As much as I might wish otherwise, I'm not omniscient. So if you know another pair of noise-cancelling headphones which won't completely obliterate my bank account, I'd love if you shared them with me in the comments. I'll give 'em a look, and if they pass muster, add them to the list! 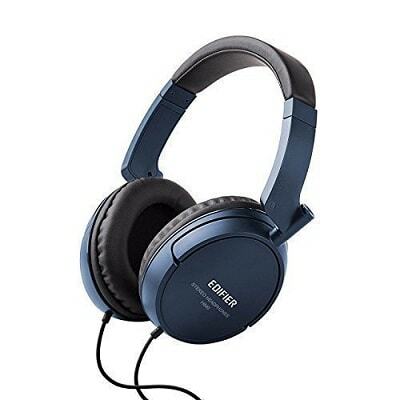 These are some great noise cancelling headphones if you want to use when you are on a plane or in train. Glad they helped, Stefan! 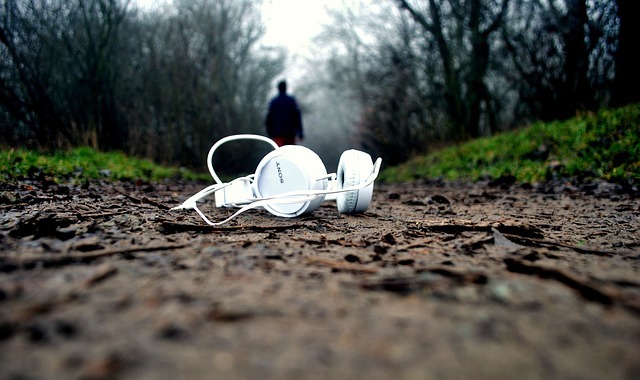 Noise canceling headphones are definitely a must for travel nowadays, especially in Vietnam. 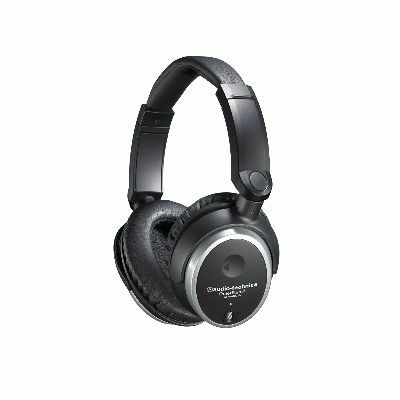 I love this noise canceling headphone, and will like using it for my voice recording and narration. just hope it will still on the stock by January because I’m not on cash now.